Although access to education has improved in Pakistan over the last decade or so, still children have to face huge challenges in this regard. 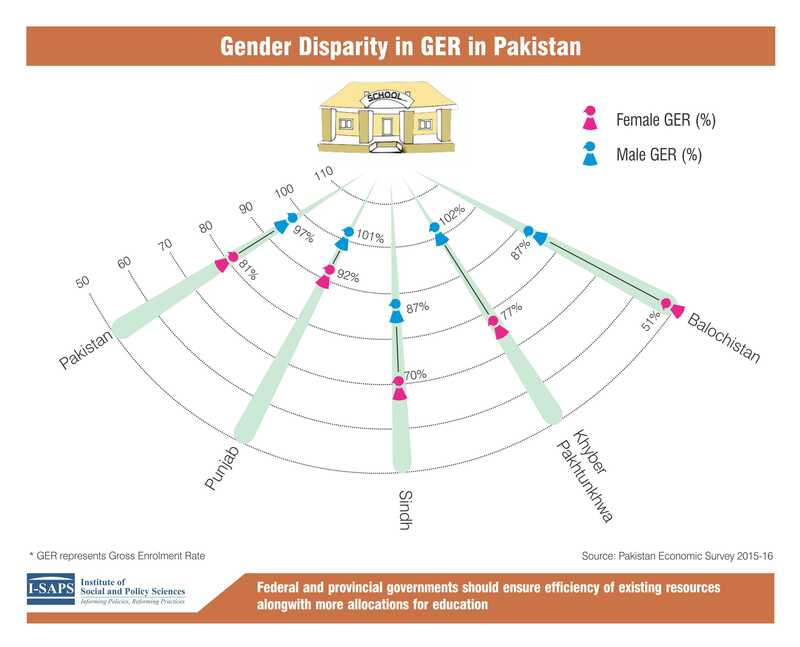 Looking at the infographic below, there are stark gender-wise differences in Gross Enrolment Rates in Pakistan especially in case of Balochistan and Khyber Pakhtunkhwa. 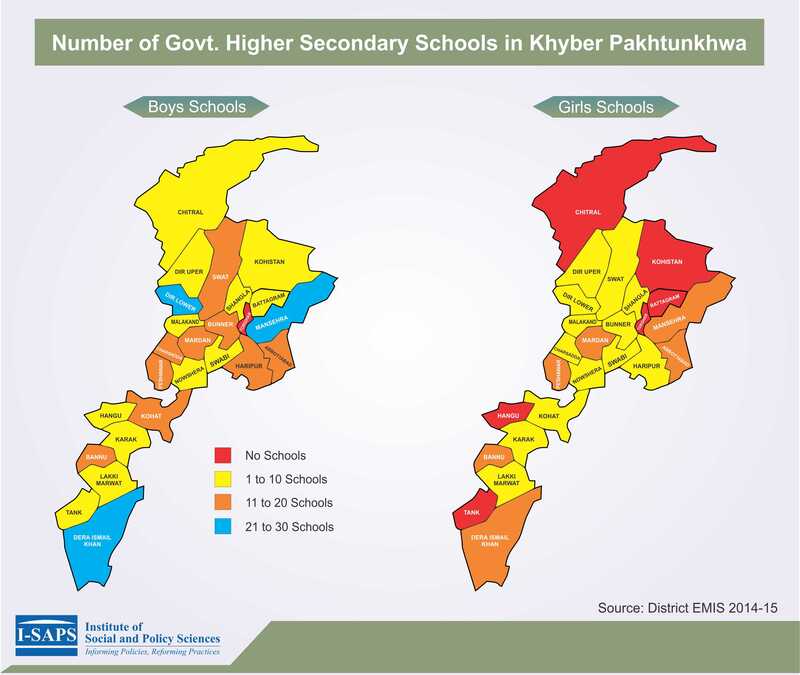 One of the reasons for students dropping out of the schools in Khyber Pakhtunkhwa is the lack of schools at higher educational levels. The state of available opportunities for girls is even worse with districts like Battagram, Chitral, Hangu, Kohistan, Tank and Tor Ghar not having a single government higher secondary school for girls. Despite hefty allocations for education in the last few years, Pakistan has not been able to achieve the MDGs. 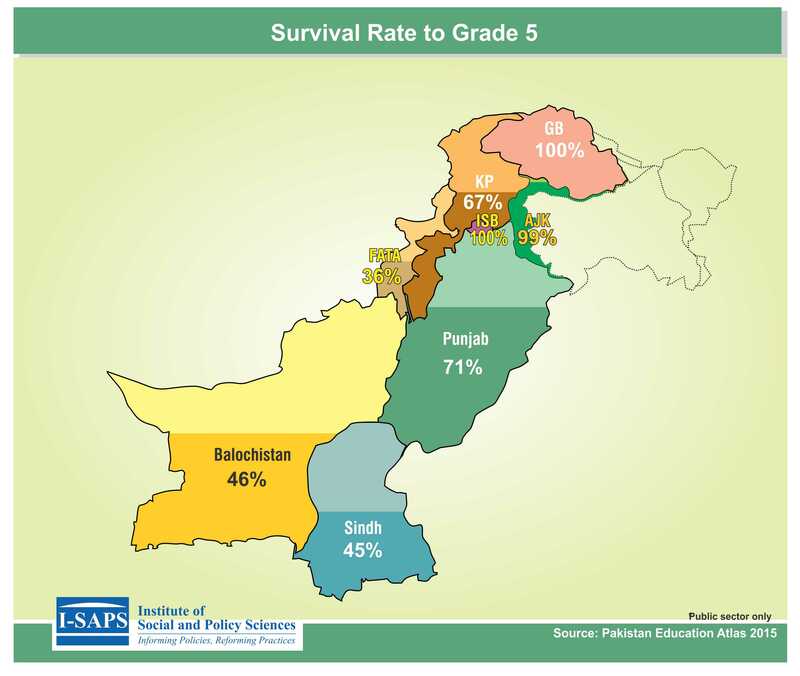 Pakistan’s literacy rate currently stands at 58 percent; 30 percent short of the MDG target of 88 percent. 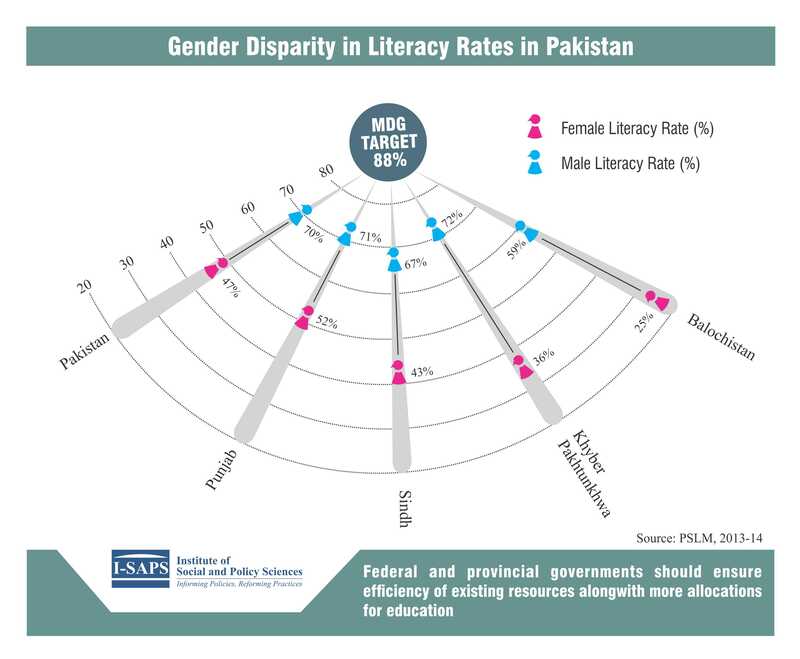 Huge gender disparities in literacy rates also exist among the provinces. Due to issues of quality and access, many students do not continue their education and a number of them drop-out even before completing grade 5. This calls for immediate attention and intervention on part of the policy makers and the provincial governments.